Kim and Laura meet at university but they come from very different worlds. He is the seductive and relaxed son of the owner of a hotel on the Passeig de Gràcia in Barcelona. She is a simple, idealistic provincial girl who knows that life is all about the details. We see Kim and Laura through three different periods in their lives: when they meet at university and become friends; in the middle of emotional crises with their partners after not seeing each other for a long time; and finally at their 50th birthday parties. In spite of their diverging paths, they know that each other will always be there with a helping hand. No matter how far apart they are, and no matter how long it is until they next meet up, that their kind of friendship is rare and has stood the test of time. Who hasn’t fallen in love? Who believes that friendship is what matters? This is a real and human story, not just a fiction. 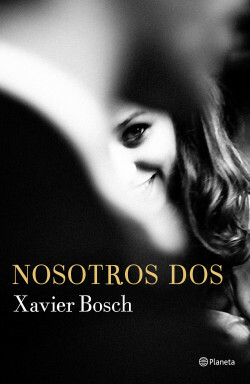 This novel is the consolidation of the author as one of the best narrators in the Catalan language about the universal theme of love. ‘Us both’ is a great story of love and friendship that will bound to impress the reader. A story full of emotions, glamour and a few drops of nostalgia. A glamurous tribute to friendship, women, and Barcelona. Thiele Verlag (Germany), Planeta Manuscrito (Portugal). Sperling & Kupfer (Italy), Colibri (Bulgaria), Laguna (Serbia).